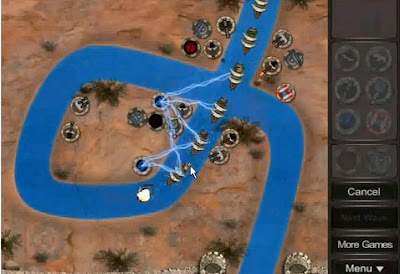 Boat Invasion is another point and click tower defense game om 1000webgames. Just like most of the tower defense games yo played before, build defensive weapons to stop the boat invasion the right type of towers in this addictive strategy game. This game is not the only one in its genre but it is still entertaining. The game features 4 different levels where you have to deal with waves of enemies. A new level will be unlocked when you finished one. Anyways, here is a video of Boat Invasion walkthrough showing bits of the game.